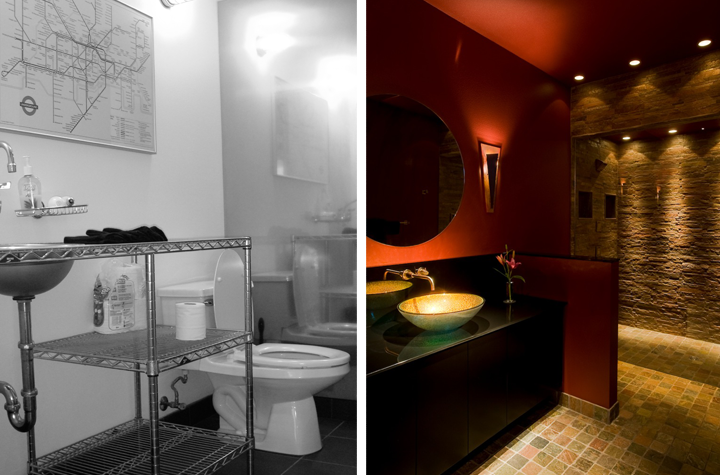 Associated Housewrights transformed this bathroom from basic to gorgeous. 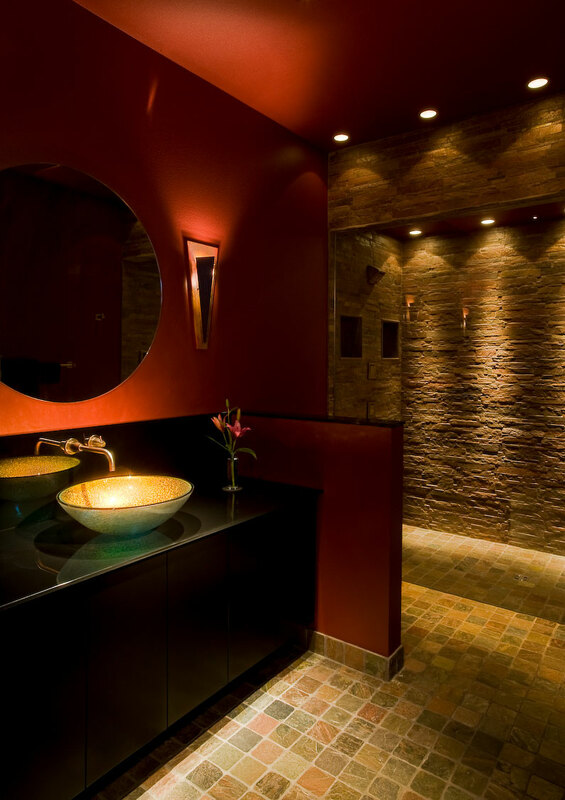 Our team used textured materials, serene lighting, and warm colors. We installed stone tile in a glass-walled shower boasting multiple shower heads. A gracious vessel basin floats elegantly atop granite countertop.